And he refused point-blank to take the rubbish out. Reluctance to take the rubbish out is a common-enough attitude but a total blank refusal is not. On one ocassion we just let it go and it got to the state where the kitchen was being taken over by flies - but still he wouldn't take the bag out. My colleague latterly did take it out (simulataneouly applying fly-spray). In the act of moving, the back mudguard fell off my bike because someone had removed three of the four rods that attached it to the bike. Prior to this, a few nuts elsewhere had started to disappear, the taping on the handlebars was unravelling and the cover used to protect it from the weather was regularly 'pulled off'. 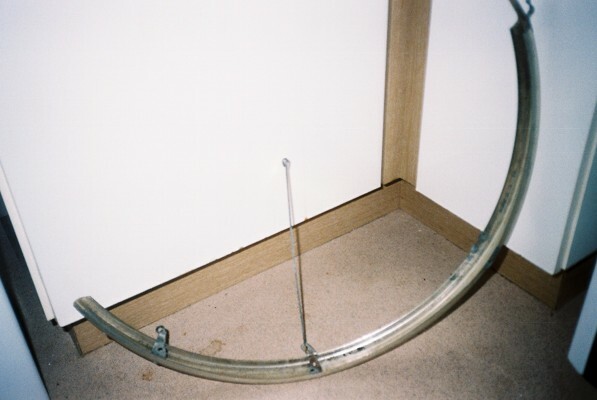 The bike was kept around the back of the house, behind a door which was locked in the evening and overnight.